The City of Saint Paul is rich in history, culture, and natural resources. With over 500,000 trees, the urban forest of Saint Paul consists of some trees that have endured since the city’s inception. Since then, these trees have continued to provide multiple environmental, social, and economic benefits that have been instrumental in shaping our communities. The Landmark Tree* program was created to locate, document, and compile a record of remarkable trees within the City of Saint Paul. 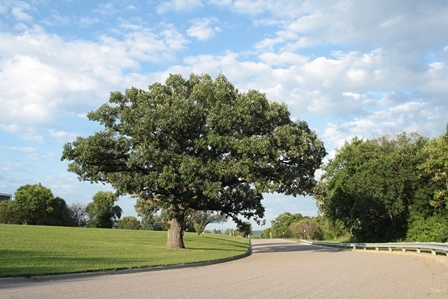 Nominations for the 2019 Landmark Tree Program are being accepted now through November 1, 2019. The tree will be posted on the interactive Landmark Tree Tour map. The tree will be posted on the printable Landmark Tree Map. The tree will be posted on the Landmark Tree List web page. The tree will be recognized at the annual Blooming Saint Paul Awards along with certificates of recognition for the nominator and the owner. The tree will retain the Landmark Tree status for the rest of its life. *Selection as a Landmark Tree does not guarantee the long term survival of, or preclude the removal of a nominated tree if its condition declines. Unpredictable factors including storm damage, insect damage, disease, compromised structural integrity, or a combination of factors may impact a tree and necessitate its removal.